It's the first time the candy company has entered gaming. HERSHEY, PA: In its first foray into gaming, The Hershey Company has brought on Twitch streamers Ben "DrLupo" Lupo and Tyler "Ninja" Blevins to promote its forthcoming candy, Hershey’s Milk Chocolate with Reese’s Pieces, which will hit shelves in November. The mashup of these icons, who are friends in real life, plays on the idea that Hershey’s new candy is a mashup of two classics, said Charlie Chappell, Hershey’s head of integrated media and comms planning. 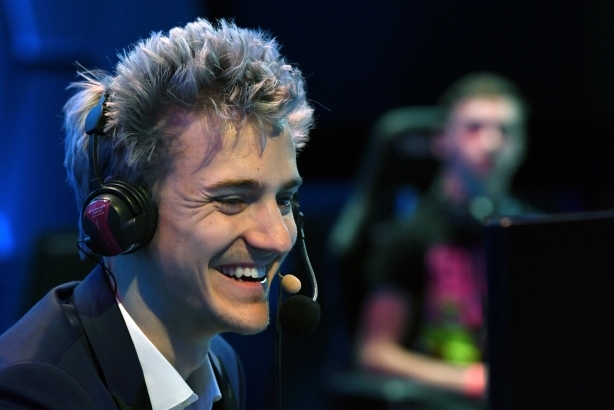 Ninja is the most followed Twitch streamer with almost 11.9 million followers, while DrLupo has about 2.5 million, according to TwitchMetrics.net. The two gamers will promote the candy in a livestream together on October 23 at 4 p.m. EST, just ahead of TwitchCon 2018, an annual event where personalities and fans meet in person and broadcast together. It takes place at the San Jose McEnery Convention Center on October 26-28. On October 27, fans can meet Ninja and DrLupo for an hour at the Hershey’s booth at TwitchCon. While the candy company’s portfolio has a universal appeal, it wants to engage younger consumers through this campaign, said Chappell. "What’s interesting about esports is it’s growing," Chappell said. "We recognize that and how this community is very into this space. While we’re not endemic -- we’re not making games or hardware -- we fit into the culture." Chad Stoller, EVP and global chief innovation officer at Hershey’s media agency, UM Worldwide, came up with the idea, according to Chappell. Esports marketing agency Ader vetted the streamer community for follower count, whether users are willing to work with brands, and for brand safety. Then, Ader connected Hershey’s and UM with Ninja and DrLupo. Hershey’s is examining how it will partner with the various esports entities, including partnering with franchises, leagues, and teams. Chappell said Hershey’s also has passionate gamers in its employ. "It’s a community of individuals who have a passion for this space," Chappell said. "They’re all interested in how the company can leverage that in different ways." It’s "too early" to know if Hershey will formalize a gaming department. Chappell said he wants to see how this quickly growing space will evolve.